Pair Walmart’s low prices with a fat stack of coupons, and score loads of free and cheap stuff. This store makes it easy to extreme coupon. Here’s how to win big at the register. 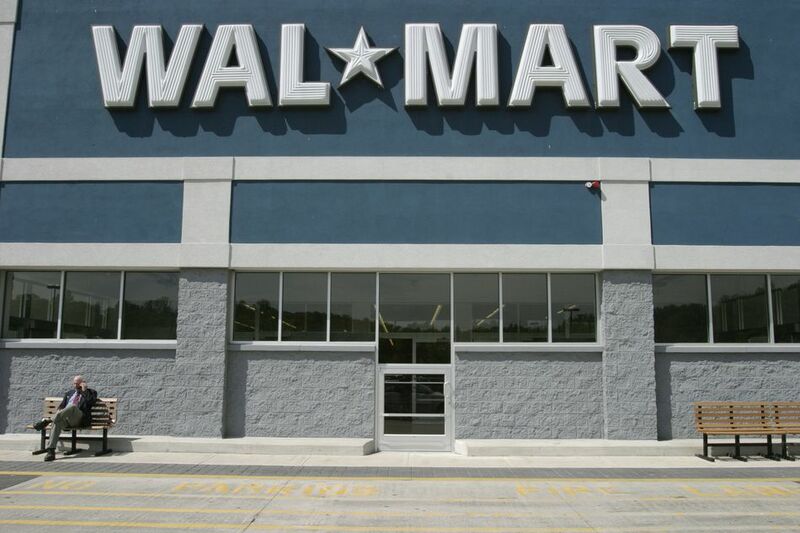 Familiarize yourself with Walmart’s coupon policy, so you know what is and isn’t allowed. This will help you avoid problems at checkout, and ensure that you aren’t missing out on any savings opportunities. You can use manufacturer coupons, printable coupons and checkout coupons (also known as Catalinas), as long as they have an expiration date, a scannable barcode and a remittance address. You can redeem coupons for free items, but print-at-home coupons for freebies are a no go. They also won’t accept checkout coupons for an amount off your entire purchase. Example: $5 off a $50 purchase or 25% off your entire purchase. If you’re using a buy-one-get-one (BOGO) coupon that you printed yourself, it needs to specify the price of the item. And they won’t accept photo-copied coupons. Printable coupons are fine; you just can’t use a photocopier to make a bunch of extra copies of them. Stick to the number of prints that the manufacturer allows. You can't use mobile coupons at Walmart. So,you'll need to find another store to redeem those. Overall, this is a pretty straightforward and fair policy. Now, let’s look at all the ways you can make this policy work for you. Walmart is one of the only stores that allow coupon overage, and that’s why extreme couponers love this store so much. If you present a $2 coupon for a $1 item, most stores will give you the item for free. But, if you present that $2 coupon at Walmart, they’ll give you the item for free and allow you to keep the difference (the coupon overage). You can have them apply the extra $1 to other items in your cart, or you can take the difference in cash. Meaning, you could actually end up leaving the store with more money than you came in with. So fun! To make the most of this, extreme couponers look for coupons that will generate overage (typically health and beauty coupons); then, they use that overage to reduce the cost of produce, meat and other items that you rarely find coupons for. With as many things as Walmart sells, you could even put your overage towards clothing or plants, if you wanted to. Just don’t take advantage of the policy. While it’s perfectly fine to buy four or five of an item that generates overage, it’s not okay to go buy 100 of an item that generates overage. The store may or may not let you get away with it (it’s at the manager’s discretion), but the intent is clearly not for you to walk away with a ridiculous number of freebies and enough cash to fund your next vacation. Extreme couponers who advocate buying and trading coupons for the purpose of accumulating a zillion of a particular coupon aren’t honoring the spirit of Walmart’s overage policy and are taking advantage of manufacturers. Even worse, they’re breaking the law. While most people don’t realize it, it’s actually illegal to buy, sell or trade coupons. Also, know that Walmart is committed to honoring any limitations that the manufacturer has put in place. So, if you have a coupon that says you have to buy a certain package size or a specific flavor or scent, that’s really what you need to do. And if it says you can only use one coupon per transaction, that's what you need to do. Some extreme couponers teach coupon decoding, which is when you read the barcode on a coupon to determine if the coupon will work on things other than what was intended. Typically coupon decoders will take a coupon that’s supposed to be used on a large package of something, and use it on a trial-size package for the purpose of creating coupon overage. This practice is illegal. It’s perfectly fine to use a coupon on a trial-size item, if the coupon doesn’t specify a product size, but it’s not okay to take advantage of a weakness in the barcoding system. Coupon decoding has become a big problem in recent years, so manufacturers have responded with more precise coding. Walmart no longer price matches other stores, or accepts competitor coupons. They discontinued this practice in 2017. Walmart doesn’t allow you to stack coupons like some stores. They have a strict one-coupon-per-item policy. But you can still use rebate apps, like iBotta and Checkout 51 to save more. Just look for opportunities to pair a coupon and a rebate for the same item, and you’ll score all sorts of freebies and cheapies. You can even make money, if the combined value of the coupon and the rebate exceeds the purchase price of the item. That’s lots of fun! Another neat thing about rebate apps is that they often have offers for produce and milk. Since Walmart strives to have the cheapest price in town on these items, it’s a simple way to save even more on these must-have items. Wish Walmart still price matched competitors? Then, get the Savings Catcher app. If you scan your receipts into the app, it’ll check competitor’s advertised prices, and if it finds a better deal on something you bought, it’ll give you the difference back on a Walmart egift card. Pretty cool. It’s a lot easier to match coupons to products when you aren’t elbow to elbow with other shoppers, and your cashier is bound to be a lot nicer about your fat stack of coupons if there aren’t 14 people waiting to check out behind you. For the smallest crowds, avoid shopping at the beginning of the month. That’s when social security checks and food stamps go out. Also, avoid Sunday afternoons. If you want to be successful as an extreme couponer, remember to be nice to the employees you interact with. Your cashier may not know the store’s coupon policy as well as you do, so you may need to educate them. Bring a copy of Walmart’s coupon policy with you, so you can show them the rule that applies to your purchase. Just know that Walmart’s store managers have the final say so when it comes to deciding whether or not to accept a coupon. If they say no, don’t get upset and make a big scene. They may remember that the next time you come in to coupon.